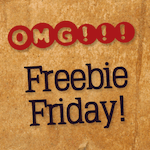 « Freebie Friday “Oscar Winners” Edition: Win a Free Redbox Gift Card! Valentine’s Day is coming right up, and there have been lots of movies made over the years that are all about L-O-V-E. Let’s talk about our favorite (and least favorite) romantic flicks! What’s your favorite romantic movie? Or, if you hate rom-coms, what’s your LEAST favorite? The Princess Bride. Surprised that I’m the only one choosing it. roman holiday, pride & prejudice (with colin firth), 10 things i hate about you, a walk to remember, notting hill, princess bride, dirty dancing, sixteen candles, etc. Romancing the Stone; the only romantic comedy that has it all and more. Not really sure. I usually go for comedy and horror. Pretty Woman is my favorite romantic movie.